Rated 5 out of 5 by sbechirian from My best all time RPG game! It's been years since I have discovered this precious game and I have played and replayed this one a lot of time. The music push you into a hole new world and the game is not from this world! Prepare yourself to travel. So cute, so funny. And with a mission, the utlimate goal you'll have to accomplish! You can miss some games, but not this one. Incarnate Ella, our heroin, becoming the guardian of her world. Be her and work with others to battle life as you never did before! Rated 5 out of 5 by terricT from Enteraining, will occupy you for a long time This is a fun game. The storyline is engaging, the writing is clever, and there are surprising amount of depth to the characters. At almost 20 hours it's much longer than I expected. I spent a lot of time exploring, since there is so much to see and do. The battles are fairly easy in the beginning, but they get more challenging near the end. I like that the monsters are visible, and you gain enough gold from them to buy supplies. I almost never ran out of money in the game, which saved from some of the hassle of grinding. 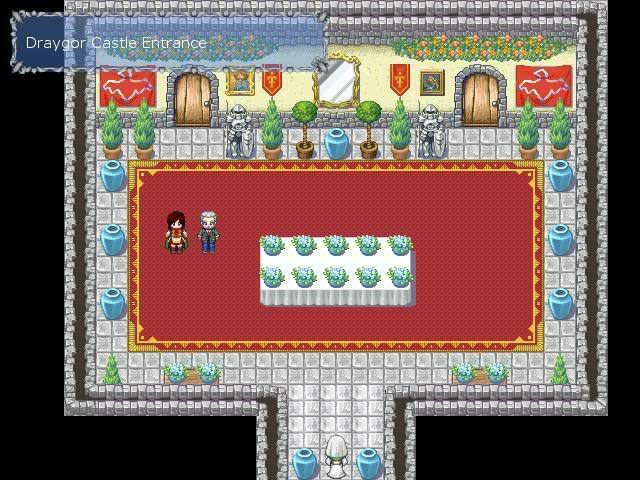 There are a lot of puzzles to solve, both in the main quest and numerous side quests. Not all side quests give rewards (one character even made a joke of this fact), so you can skip them without affecting the gameplay. But the completionist in me still wants to do all of them. 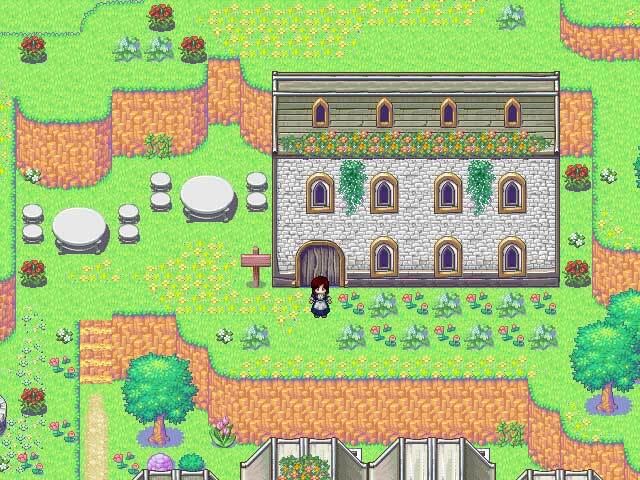 Rated 5 out of 5 by MerryX from Highly Enjoyable RPG I have recently been discovering the joys of RPG (e.g. Aveyond series, Skyborn, Fated Haven, Sylia) and having such a good time!! But I have found at times that I get a bit overwhelmed with the scope and extent of an adventure - and my interest and stamina wanes. 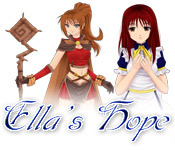 With Ella's Hope I have been particularly enjoying going through a series of quests (with a number of side quests in each one) towards an ultimate goal which somehow feels more "digestible" and doable. 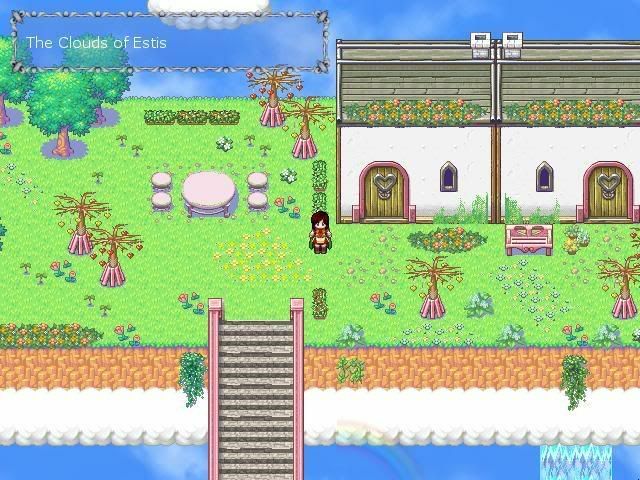 EH has a good story line, interesting and diverse characters, and plenty to do and explore. Rated 5 out of 5 by iceflametiger from Excellent I loved the story plot it kept me intrested and i play the game over and over again. Overall it was just a fantastic game! Rated 5 out of 5 by brendansmommy87 from JOY!! I knew before 5 seconds that I would love this game. How did I know? The map...the music...the sound effects...the look of the characters...This is from the Aveyond guys! Yes! I was not dissapointed. What a beautiful game. Great story, fun gameplay, beautiful music, this game has it all. You can choose between 4 levels of difficulty, so you can choose whether you are in it for the story, or are you in it for the fights? Keeps you interested all throughout. Definite thumbs up! Rated 5 out of 5 by cassidy149 from Never ending quests! there are so many things to do you don't even know if there's an ending! Rated 5 out of 5 by phaechan from Cute multi-ending game I'm a sucker for love stories, and even though this game isn't heavily focused on a love story, there is definitely a need to finish the game to see the outcome. The best part about it, is that this is one of those games that has multiple endings, which means everything you do within the game will change the outcome at the end. The love story I mentioned before? That's part of it. The game play is simple, you have three options to play, story, regular or hard (I never played hard) but story mode lets you breeze past the baddies and focus on how you want your game to end. I think there are 6 possible endings, I have only gotten 3, so good luck finding them all. Story, sound and creativity in this game are excellent, there are puzzles but not as many as I would have liked. And for those that want there to be a sequel after you finish it, don't worry, there is more coming. Rated 5 out of 5 by tiffanyjean47 from Fun and not too easy and a great story This is one of my favorite games, lots of options and ways it can end, not too easy, not too hard and I loved the plot. Rated 5 out of 5 by ematthews89 from Ella's Hope I really enjoyed the game, based on the ending, I had hoped there would be a part 2.